Yahoo suffered a major breach in 2014, which led to the leakage of many users' email addresses and passwords online. The company has lately been tinkering with log-in features to replace the password, given that most of the breaches had stemmed from the humble password. 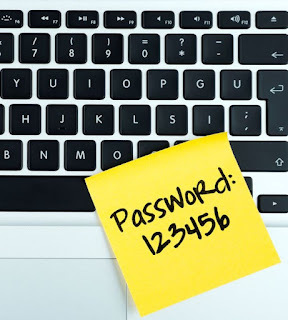 The Internet giant earlier launched a service that auto-generates a short password, which it sends to a user's phone at any log-in session, though closely tied to two-factor authentication, it differs as no initial password is required . And as a step up, the company has extended this to its Mail app with a feature called Yahoo Account Key, which uses push notifications to provide a quick and simple way to access Yahoo account using mobile device. Dylan Casey, Yahoo's vice president of product management, yesterday said at a press event in San Francisco that they're going to kill the password altogether. Albeit, Yahoo's process is a take-on the common two-factor authentication, whereby a user has to first enter a username and password, before a message is sent to phone for completion of log-in, it works minus the initial factors. If a user loses or smartphone is low on power, he/she can still log in using traditional username and password. To get started, you'll need to turn on Account Key, and register your smartphone. While on opening the app you'll be sent a push notification. And simply clicking on the notification gets you verified. The Account Key is now available globally on iOS and Android. Yahoo rethinks two-factor authentication: Is this end of the Password?